Earn points and get free gas, food and STAR CASH! And $2 beers! Earn 10 pts = Get $5 Gas! Earn more points to get additional offers! Earn 30 pts = GET AN ADDITIONAL $5 Gas, $5 Food or $5 Star Cash! Earn 50 pts = GET AN ADDITIONAL $5 Gas, $5 Food or $5 Star Cash! 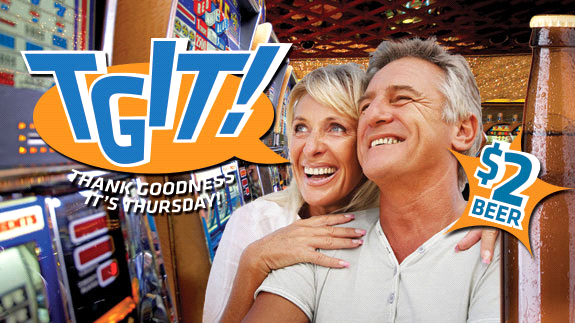 Plus, get $5 Star Cash to use next TGI-Thursday! Earn 70 pts = GET AN ADDITIONAL $5 Gas, $5 Food or $5 Star Cash! Earn 90 pts = GET AN ADDITIONAL $5 Gas, $5 Food or $5 Star Cash! Earn 100 pts = GET AN ADDITIONAL $5 Star Cash to use next TGI-Thursday!